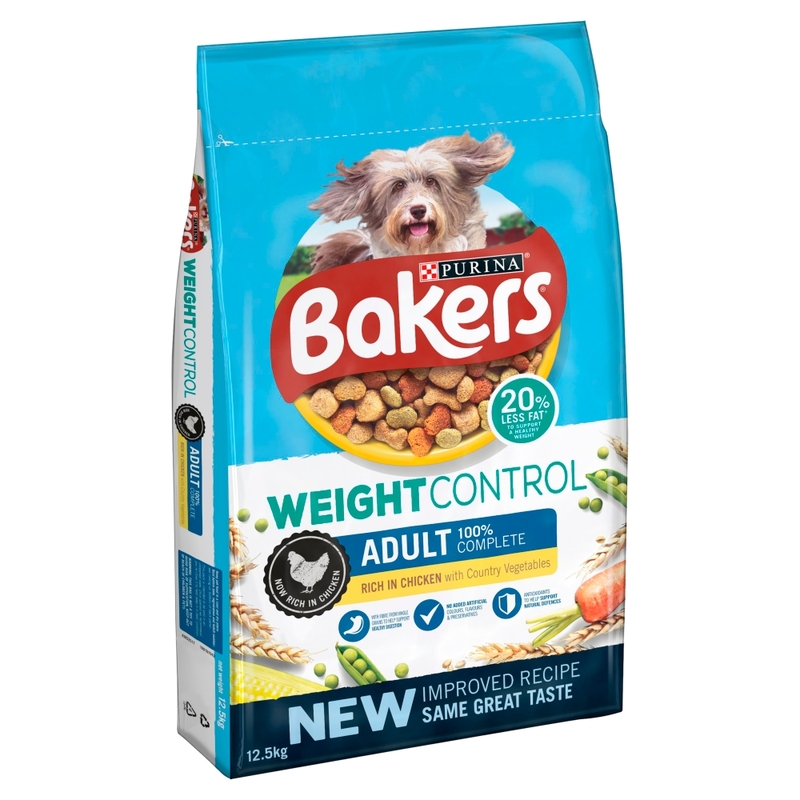 Bakers Complete Weight Control is specially formulated to ensure your dog reaches and maintains a healthy weight without sacrificing a tasty meal. 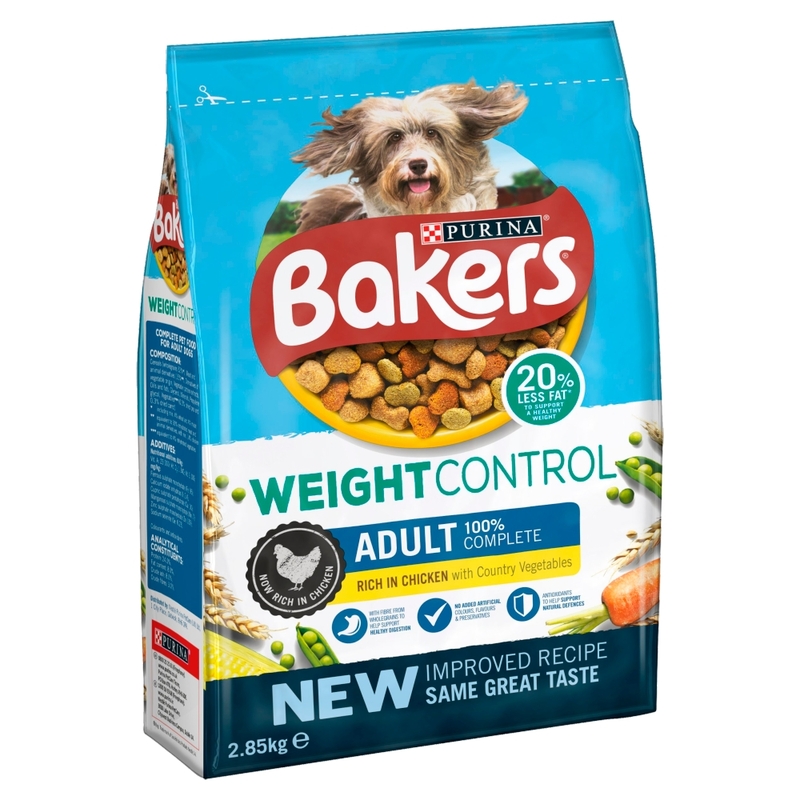 Ideal as a weight loss or control programme for the less active dog or dogs prone to weight gain. 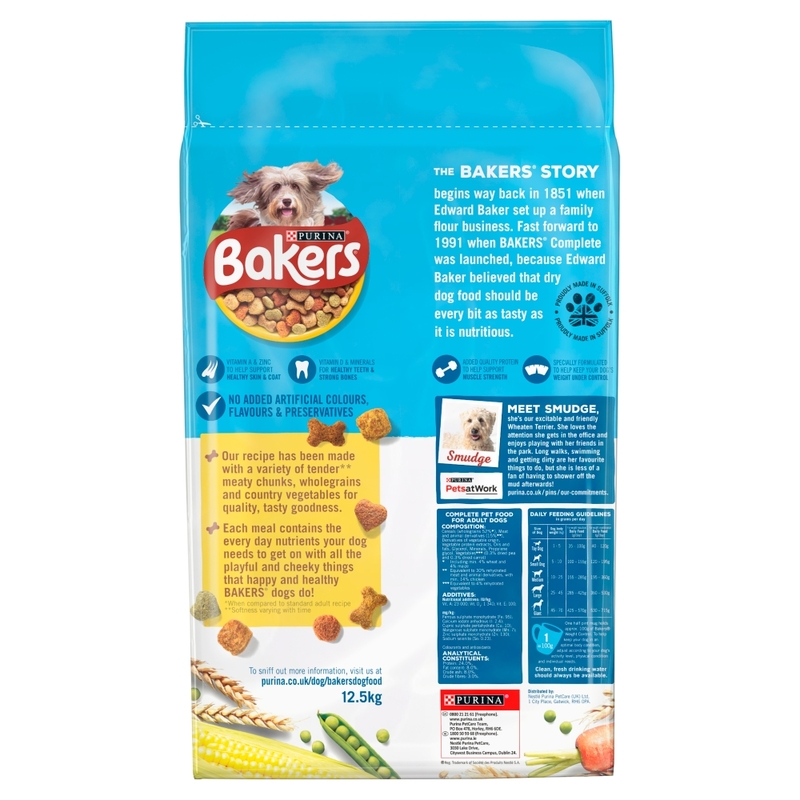 Cereals (4% rice in the green & orange kernels), Meat and animal derivatives (26% meat in the chunk, 4% chicken in the brown & natural kernels), Vegetable protein extracts, Derivatives of vegetable origin, Various sugars, Oils and fats, Minerals, Vegetables (4% vegetables in the green & orange kernels). 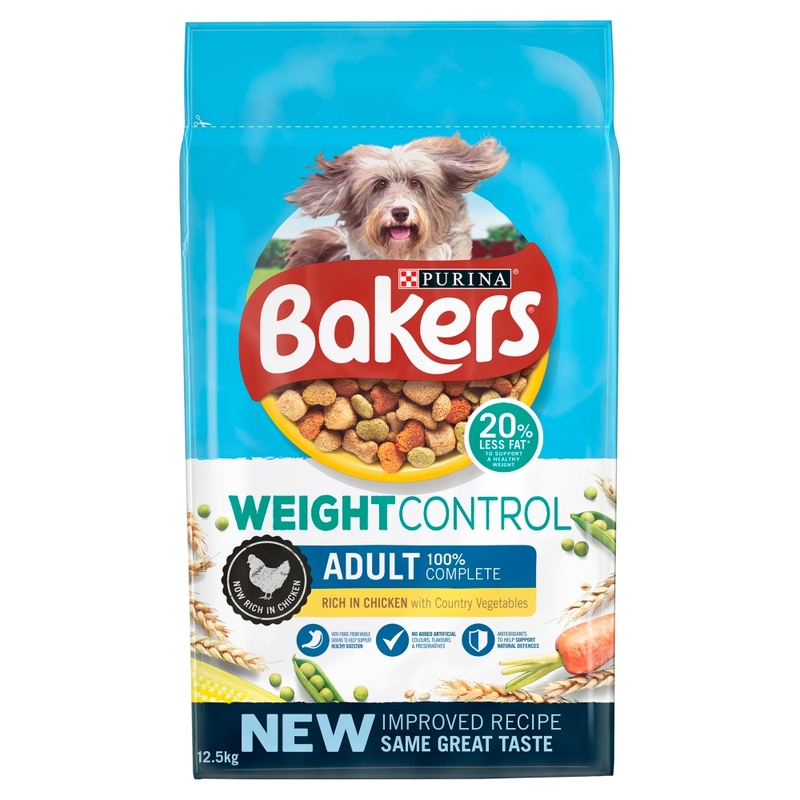 There are currently no questions for Bakers Complete Adult Chicken Rice & Veg Weight Control Dog Food - be the first to ask one!